Amazon dropped a bombshell earlier this week when they announced that they’re going to expand from Seattle by building a brand new second headquarters in another city. 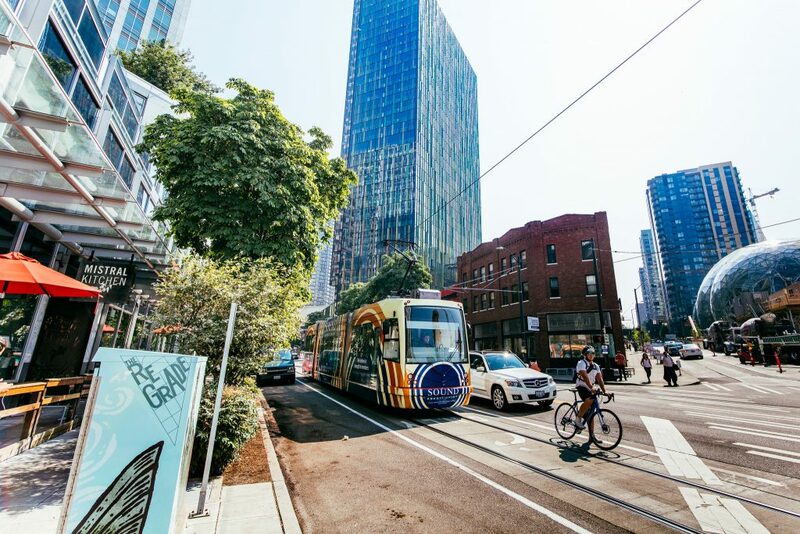 Based on their RFP, regardless of where they land, it’s another example of how companies are increasingly seeking out vibrant, walkable, connected urban places as they try to attract and retain talent. Yesterday we released new research all about companies that are moving to walkable downtowns. Core Values looks at why companies want to be in walkable places, and what they look for when choosing these locations. To kick off this research and to hear more about the issues firsthand, we invited representatives from three companies included in our survey to join us in Washington, DC yesterday for a panel discussion. If you weren’t able to watch the live stream of the event, a recorded version is now available above. Introducing "Core Values: Why American Companies are Moving Downtown"
In 2010, global biotechnology company Biogen moved its offices from downtown Cambridge, MA, to a large suburban campus in Weston, 25 minutes away. In 2014, less than four years later, the company moved back. Biogen is one of hundreds of companies across the United States that have moved to and invested in walkable downtowns over the past five years. Our newest research takes a closer look at this emerging trend. Core Values: Why American Companies are Moving Downtown is a new report released today by Smart Growth America in partnership with Cushman & Wakefield and the George Washington University School of Business’ Center for Real Estate and Urban Analysis. The new report examines nearly 500 companies that moved to or expanded in walkable downtowns between 2010 and 2015, and includes interviews with more than 40 senior-level staff at those companies. The results provide an overview of why these companies chose a walkable downtown and what they looked for when considering a new location. The report also includes ideas for cities about how they can create the kinds of places these companies seek. Bumble Bee Seafoods, which moved to downtown San Diego in 2014, is one of the companies included in forthcoming research from Smart Growth America. Photo courtesy of Bumble Bee Seafoods. Over the past five years, hundreds of companies across the United States have moved to and invested in walkable downtowns. Why did companies choose these places? And what features did they look for when picking a new location? Core Values: Why American Companies are Moving Downtown is new research coming out on June 18 from Smart Growth America in partnership with Cushman & Wakefield and the George Washington University School of Business’ Center for Real Estate and Urban Analysis.